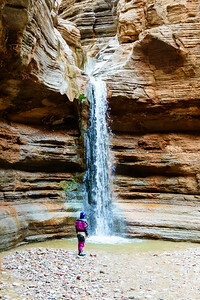 Daphnee Tuzlak takes in the waterfall in Fern Glen Canyon. 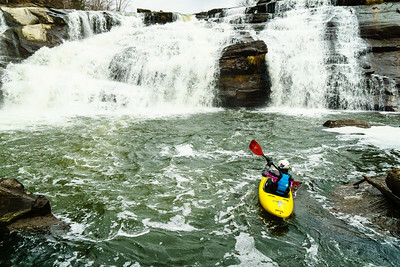 Winter snow and rain had the waterfall flowing more than I'd ever seen it. 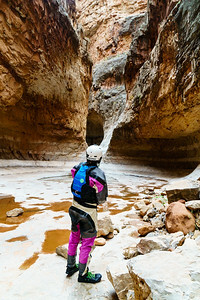 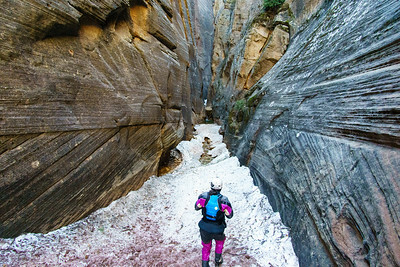 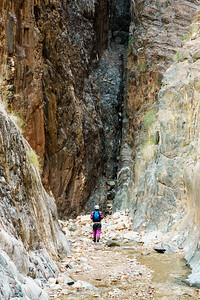 Daphnee Tuzlak takes in this snow-filled side canyon above the Zion Narrows. 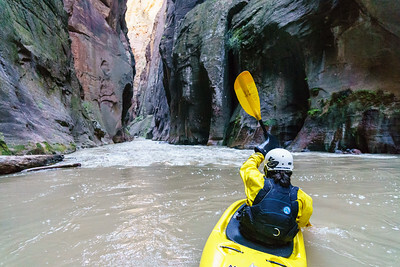 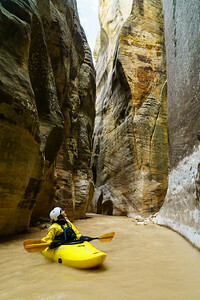 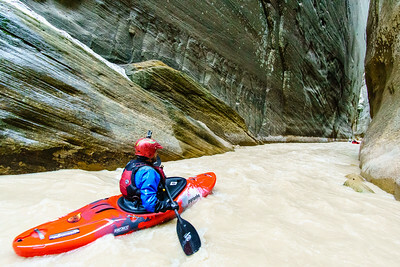 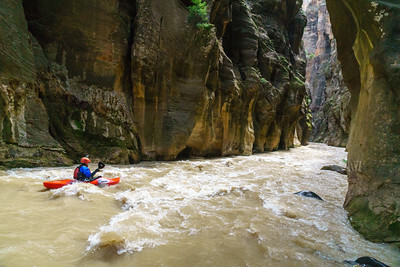 Eric Jones floats towards an ominous narrows early on the North Fork of the Virgin above Zion National Park. 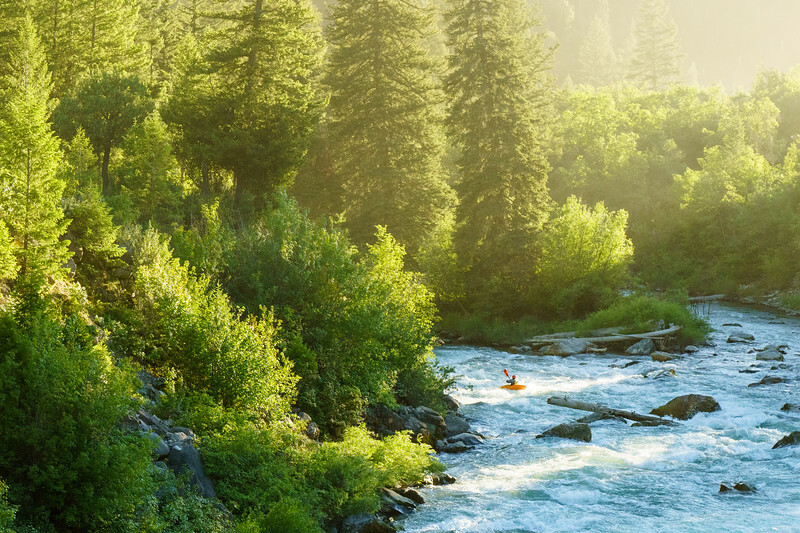 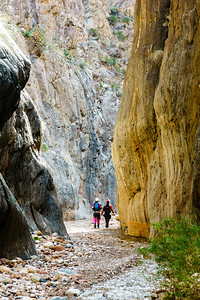 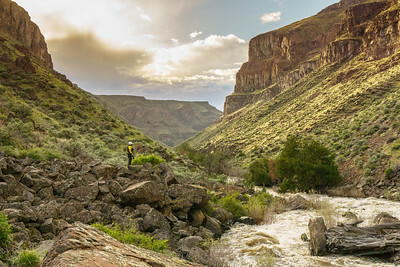 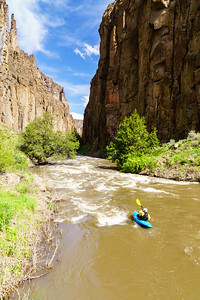 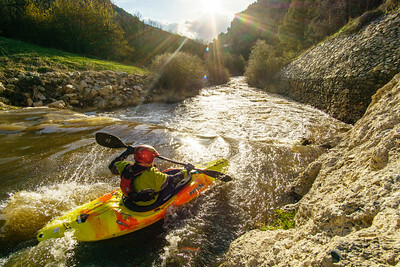 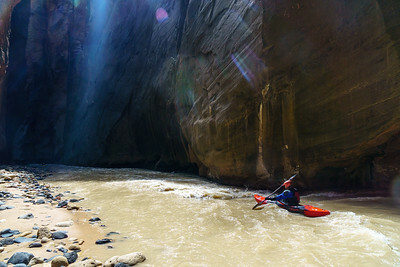 Wally Macfarlane in an early hallway on the North Fork of the Virgin river. 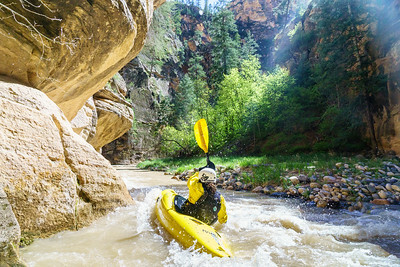 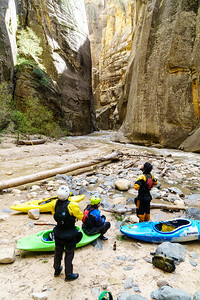 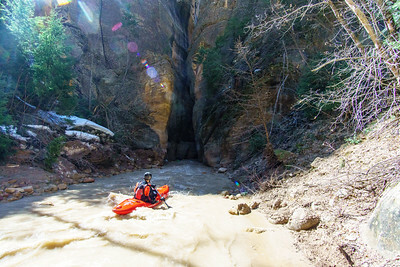 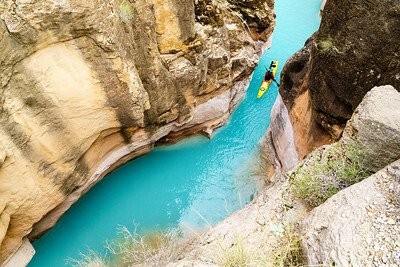 Wally Macfarlane in the Zion Narrows. 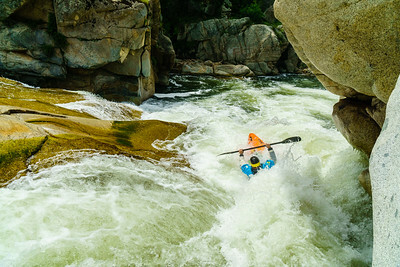 Wally Macfarlane in the Virgin Narrows. 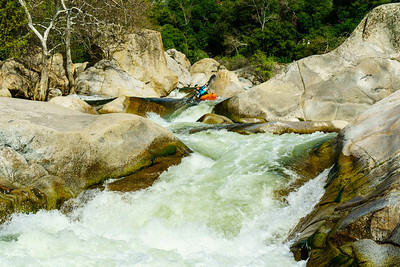 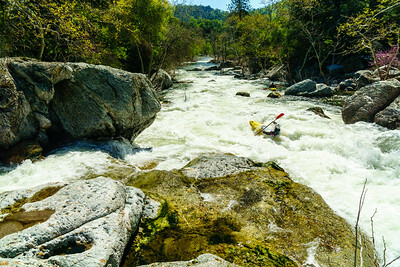 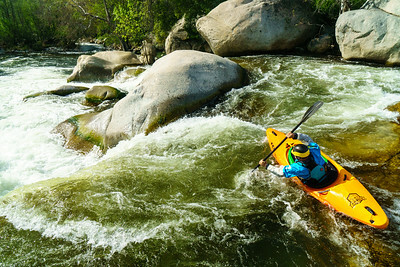 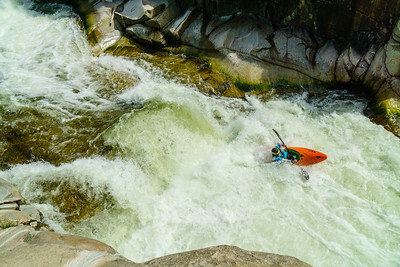 Daphnee Tuzlak crashing through one of the later rapids on the North Fork of the Kaweah near Sequoia National Park. 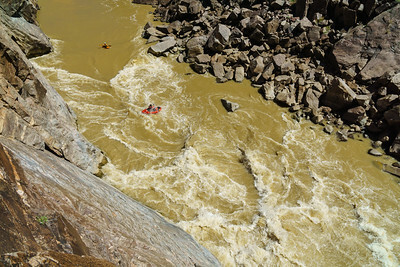 Darin Mcquoid finishes the "mandatory gorge" on the Middle Tule in style. 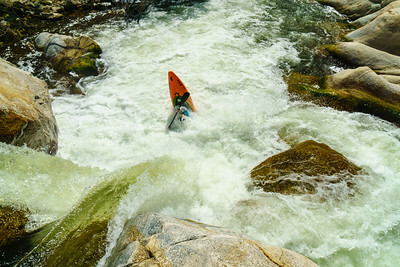 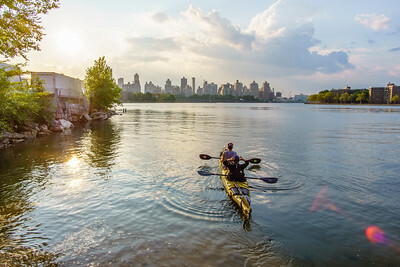 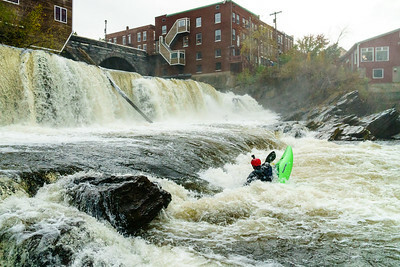 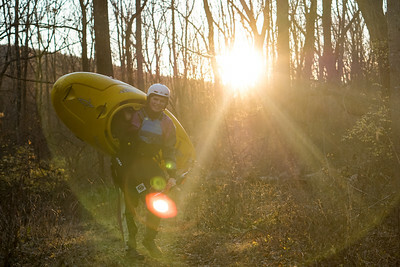 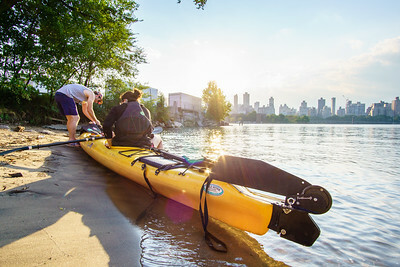 Darin Mcquoid finishing the run in style on the Middle Tule. 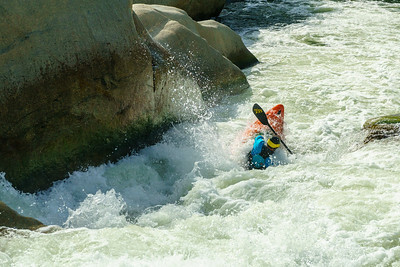 Darin Mcquoid clears a nasty looking pocket on the Middle Tule. 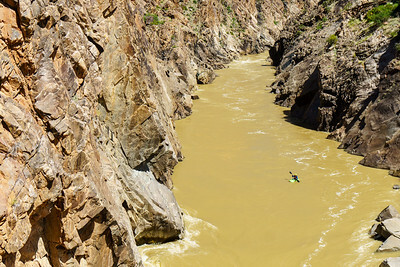 Kate Bowman walled in above Skull in Westwater Canyon on the Colorado River. 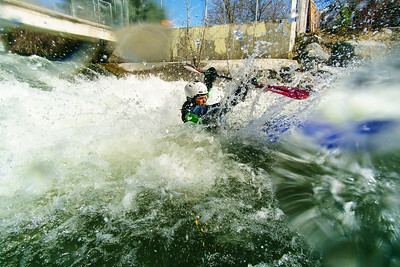 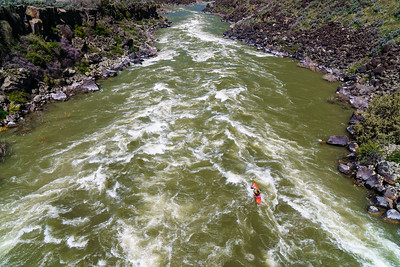 Wally Macfarlane getting his face wet at the beginning of the Murtaugh run on the Snake in Idaho during high water. 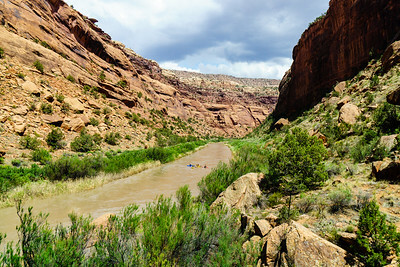 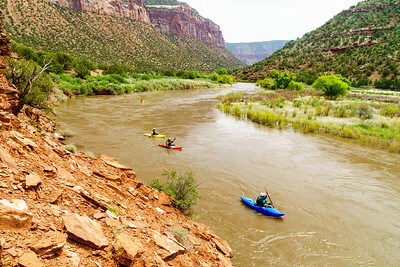 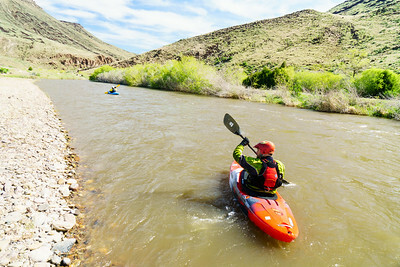 Daphnee Tuzlak heads through the flats as the Dolores River transitions from piñion forest to slickrock desert. 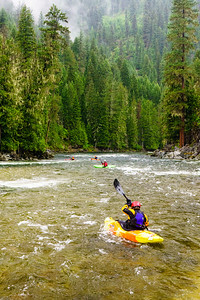 Nearing the end of a nearly 4 mile oxbow on the Dolores.